That's it! 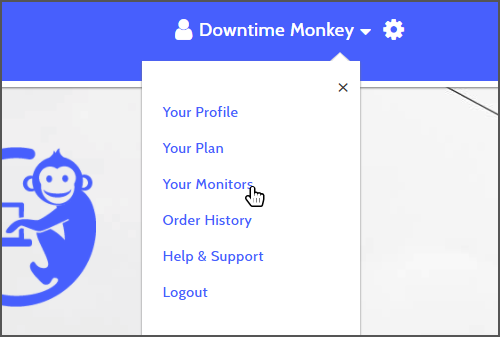 Now that your monitor is set up you'll receive alerts if it goes down and we'll record any downtime that takes place so you can view uptime stats for the website you've added. Pro users have more settings to choose from and receive more detailed stats. 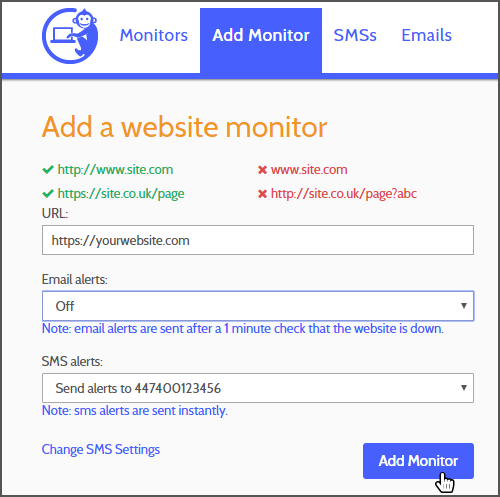 Setting up Pro monitors is still quick though, our tests show it usually takes under 30 seconds.